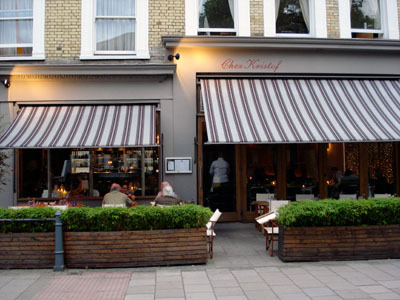 Chez Kristof is located in Hammersmith, in London west side. The restaurant has a very nice cozy decor and is very comfortable. Service was excellent. Our waitress not only made genuine efforts to please us but was able to recommend a bottle of wine which was not only reasonably priced but truly excellent. 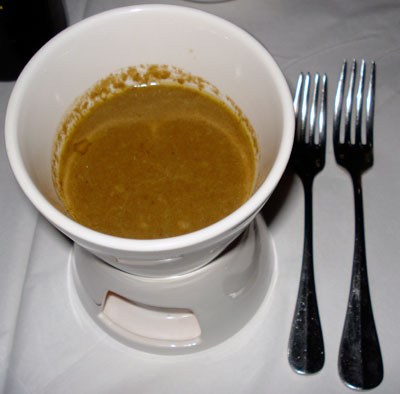 I started with the Bagna Cauda (that literally translate to hot bath). 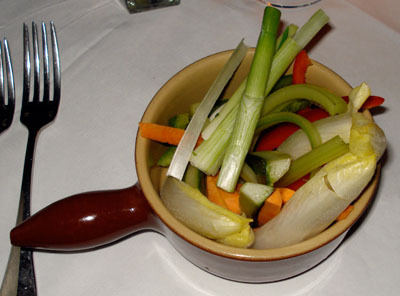 The Bagna Cauda is a hot anchovy and garlic dip served with raw vegetables. The anchovies in the dip were not too salty and didn’t overpower the dish. It was both good and original. 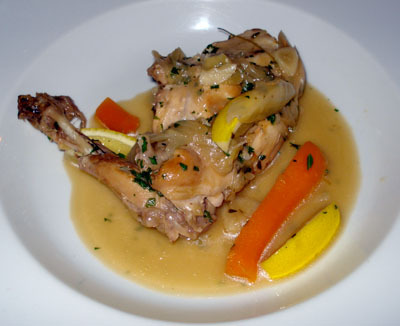 As main course, I had the Corsican braised rabbit. The rabbit, served with a lemon sauce, carrots and a side of spatzle dumplings was truly excellent. It was perfectly executed. 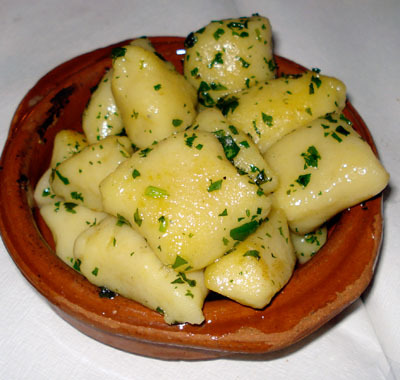 The spatzle dumplings, soft and tasty, were as good as the rabbit. For dessert, I had the profiteroles. 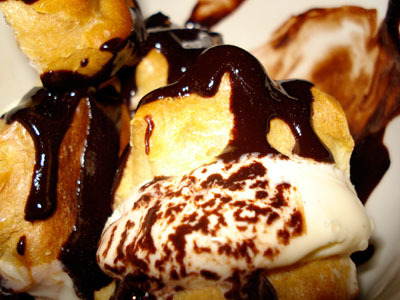 While the profiteroles were prepared as they should (vanilla ice cream stuffed pastries covered with hot chocolate sauce) they were the disappointment of the meal. The pastries were hard and neither the vanilla ice cream or the chocolate sauce was excellent. Around $100, including drinks (mineral water, a bottle of red wine shared between the 5 of us and coffee) and tip. 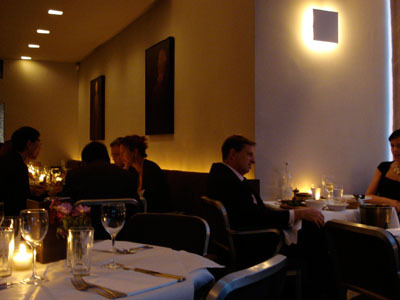 Considering the location (London is very expensive), the restaurant, the service and the current exchange rate (close to 2 dollars for a pound at the moment), Chez Kristof definitely offers good value for money. I will come back.